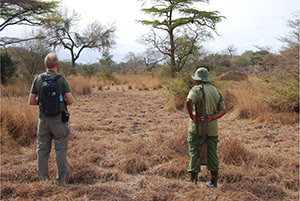 Under the supervision of your guide you might also like to try your hand at fishing. 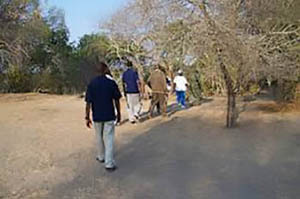 This is a relaxing activity connecting you very close to nature and the wild elements of Africa that you have come to see. 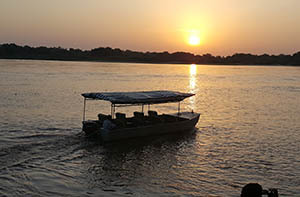 Selous is home to many species of fish, including the Electric Catfish or Vundu and sought after Tiger Fish. The rapids right in front of camp offer up 'Squeakers' a plenty, so called because they produce a squeaking sound as a warning to both predators and competitors during spawning time. The squeaking is accomplished by rubbing the spines of its pectoral fins into grooves on its shoulders, and makes them an exciting catch for even our younger guests. We have all the equipment and rods and this is a lovely way to spend an afternoon and watch as the sun sets with a beer or glass of house wine in your hand. 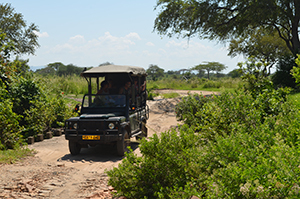 Or a more serious pursuit for the pro-fisherman seeking the challenge of landing a Tiger Fish, a regular catch for guests at Selous Jimbiza Camp. If you are successful, you might even want the Chef to cook your catch. ! Now you can’t get fresher than that! !